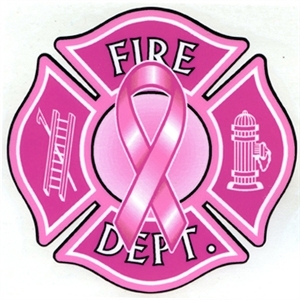 Available in 2" and 4" reflective and UV protected decals. 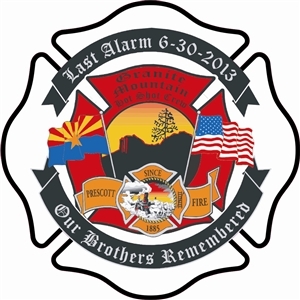 All profits go to the Prescott Firefighter's Charities. These are outside reflective decals. 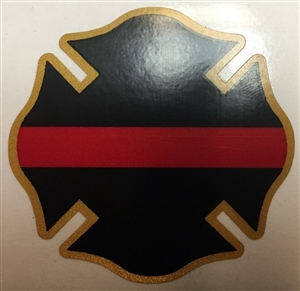 5.75" wide by 3.25" high decal. Reflective and UV protected for use on the exterior of your vehicle. Left Chest and Full Back screen printed graphic on a 100% pre shrunk cotton t-shirt. 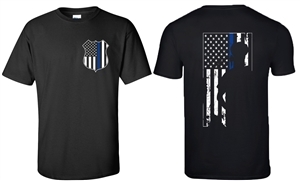 The Thin Blue Line is a symbol used by law enforcement to commemorate and to show support for law enforcement officers and to symbolize the relationship of law enforcement in the community as protectors of fellow civilians from criminal elements.